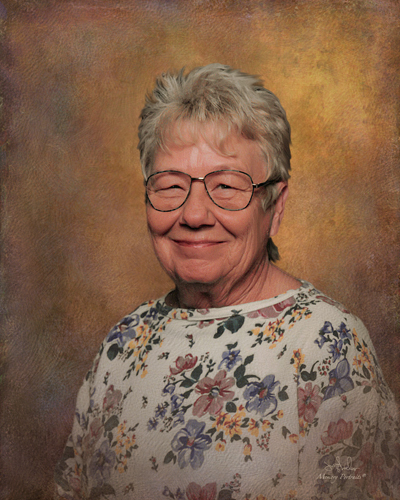 Glenda Ann Hunt, 76, of Princeton Indiana passed away April 4, 2019. She was born February 1, 1943 in Edmond, Oklahoma to Glenn A. & Juanita B. (Martin) Cordray. Glenda was married to the love of her life, Henry Ray Hunt on December 24, 1965. They remained partners in life until his death, August 17, 2008. Glenda will be remembered by many as the quiet force that headed her family, but those close to her knew she was opinionated and vocal. She loved Oklahoma University football and OKC Thunder basketball. She was fortunate enough to attend many of the games she loved. Glenda is survived by her two loving daughters, Lucinda and Lisa both of Princeton. Grandchildren she adored, Lesley Holmes & Brandon Ezell of Moore, OK; Lonna and Kevin Andrews of Seminole, OK; Lance Holmes, Justin Sullivan, and Jessy James of Chicago, IL; Kennedy Griesemer of Princeton, and three precious great-grand daughters, Jacinda Boyington, Jakayiah & Jakayla Andrews of Seminole, OK.
Also surviving is her youngest brother Billy Glen and his wife Linda Cordray of Jacksonville, FL; Sister-in-law Betty Cordray of Henderson, KY; Brother-in-law and Sister-in-law Robert and Carolyn Hunt of Princeton, IN; Sister-in-law Judy Hunt of Baltimore, MD; and many nieces and nephews. Glenda was preceded in death by her father, Glenn Cordray, step-father Fred Bilderback, mother Juanita Bilderback, brother Jimmy Cordray, sister Betty Keegan, and nephew Randall Stott. A celebration of life will take place on April 7, 2019 at Colvin Funeral Home. Visitation will begin at 12:00pm, with service at 2:00pm, officiated by Pastor Jim Saunders, followed by her burial at Mount Moriah Cemetery in Ft. Branch, IN. In lieu of flowers, her family asks for contributions to be made to the American Cancer Society, 5250 Vogel Road, Suite A, Evansville, IN 47715. Envelopes will be available at the funeral home. The family would like to extend their sincere appreciation to Dr. Sheryl Zeigler of OHA in Evansville, IN. You may leave a message of sympathy or light a candle in memory of Glenda at www.colvinfuneralhome.com. Colvin Funeral Home is honored to serve the Hunt family.